Assam Down Town University has signed an agreement for academic cooperation with IIT, Guwahati on Tuesday. 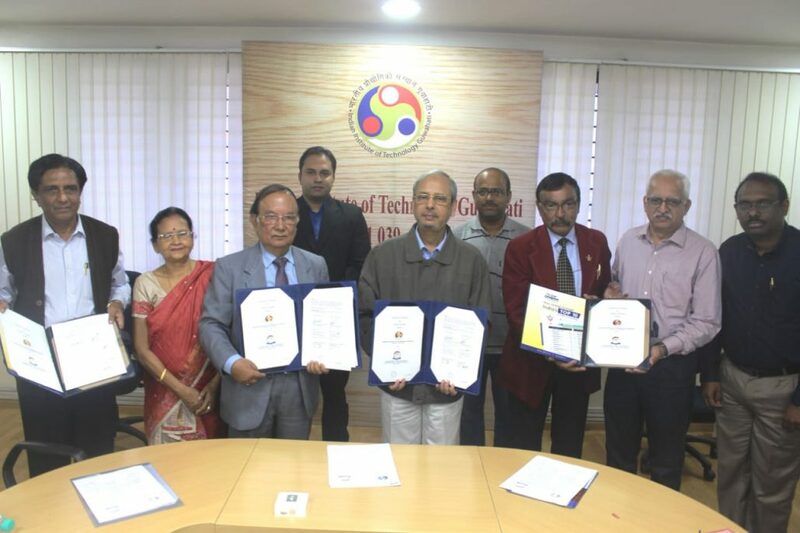 The agreement was signed by Dr. NN Dutta Chancellor for Assam Down Town University and Professor Gautam Biswas, Director of Indian Institute of Technology Guwahati. Professor Gautam Biswas said that they were very pleased to enter into this academic collaboration with Assam Down Town University which was one of the leading universities of North East India. The tenure of the agreement will be for five years. # to exchange information on teaching, learning material and other literature relevant to their educational and research programs. # to jointly propose/organize short-term education programs, trainings on topics of mutual interest and to invite researchers of both the institutions to participate. # to exchange, on a reciprocal basis, researchers and students for limited periods of time for purpose of education or research. Dr. BG Unni, Director Research, Assam Down Town University gave a brief appraisal about the overview of research activities undertaken by the University, future program and also spoke about the scope of academic collaboration with IIT Guwahati. Dutta in his remarks mentioned that this academic collaboration marks a new milestone in the history of Assam Down Town University and working with IIT Guwahati would enhance the academic/ research skills of both students and faculties of both the institutions. Dr. Amarjyoti Choudhury, Vice Chancellor, Assam Down Town University thanked IIT Guwahati for the academic collaboration and mentioned that this initiative will enhance the individual growth of scientific capabilities of his institution,thereby contributing a lot to the overall welfare of this region. Assam Down Town University has already signed MOUs with reputed R&D institutions and Universities like CSIR- North East Institute of Science and Technology, Jorhat, Assam, Institute of Advanced Study in Science and Technology, Guwahati, Guwahati Biotech Park, Dr. B Borooah Cancer institute, National Research Development Corporation (NRDC), DSIR, under Ministry of Science & Technology, government of India, New Delhi and National Institute of Pharmaceutical Education and Research (NIPER), Guwahati under Ministry of Chemicals & Fertilizers, Government of India respectively.